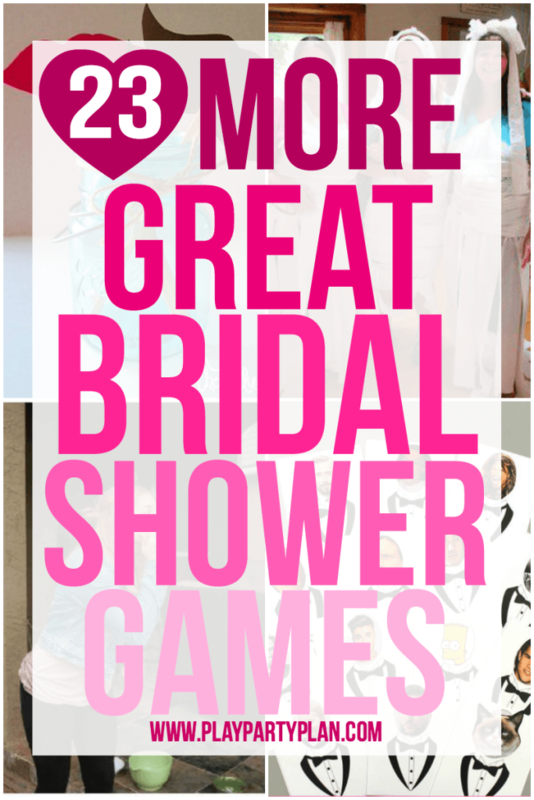 Earlier this summer as I was planning my sister’s bridal shower, I searched everywhere for fun bridal shower games. 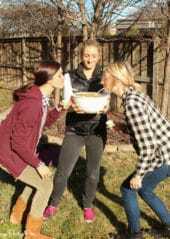 I ended up creating my own minute to win it bridal shower games but during that research, I found some pretty awesome bridal shower games that I’m definitely going to have to try someday soon. 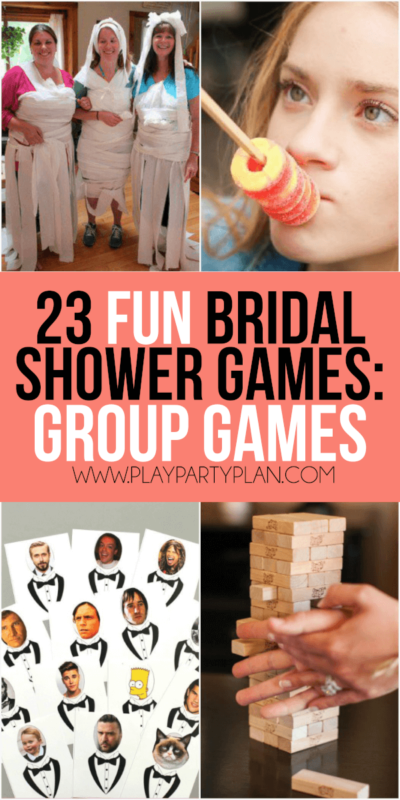 With everything from printable bridal shower games to active ones that’ll have everything dying of laughter, there’s something for every type of bride and every type of bridal shower! 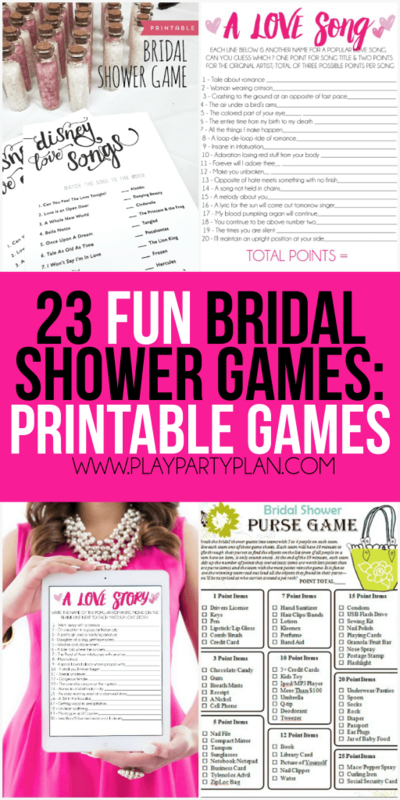 Let’s start with the simplest of bridal shower games – printable ones. These are the games you print out beforehand, hand out to your guests (don’t forget the pens! ), and they fill them out as part of the game. These are great if you’re looking for more low key games or games that don’t take much time at all. I love doing at least one printable game at every party I host. 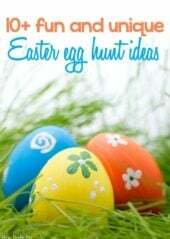 Click on the link below to be taken directly to the printable game. These games are a step above the printable games because they require guests to not only write on paper, they require guests to actually guess things about the bride and groom. 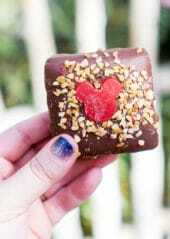 These are perfect for bridal showers because it’s possible many of the guests don’t know the groom well at all. And what good is a bridal shower if you can’t embarrass the bride a bit by seeing how compatible her and the groom are. Now we’re getting to the point where guests are going to have to move a bit, get involved, and participate. 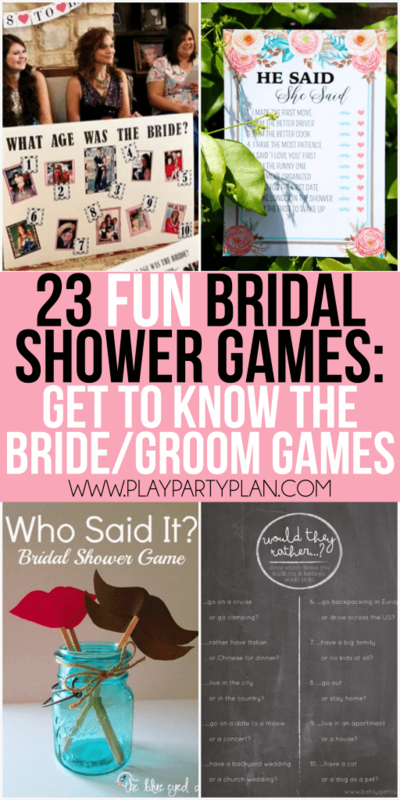 These interactive bridal shower games are ones that mean guests are interacting with one another whether it be stealing rings from someone that says “bride” or searching for trying to find the guest who did something or another, this game is more for a bride who likes games and talking to her guests. These games aren’t for the faint of heart, they’re for brides and hosts like me who love games. These are active games that get everyone involved. And I’ll be honest, these are definitely my favorite, especially after playing these hilarious minute to win it games with everyone from ages 10 to 65. Seriously hilarious. 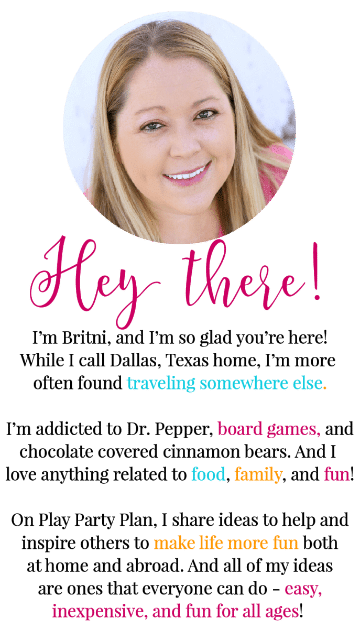 Thanks for including my game, Britni!